The RP Photonics Buyer's Guide contains 10 suppliers for photometers. The term photometer is used for a range of instruments with which one can measure certain properties of light, all related either to optical energies or to perceived brightness, or to related properties of objects. the radiant flux, which is otherwise called optical power and has units of watts. For a given optical wavelength, the radiant flux from a source or an irradiance may e.g. be measured simply with a calibrated silicon photodiode. In case of the total radiant flux, all incident light should be within the active area of the photodetector. For measuring an irradiance, the active area of the detector should be placed within a region of approximately uniform irradiance. 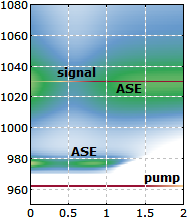 For broadband light sources, it is important to have a flat spectral response, i.e., a constant responsivity over the relevant wavelength range. If a photodetector does not naturally have such a flat spectral response, it may be equipped with a suitable optical filter. The resulting approximately flat responsivity will then of course be lower than that of the bare photodetector. Further, there are photometers for measuring optical properties of objects such as their transmittance, their reflectance or the degree of light scattering. 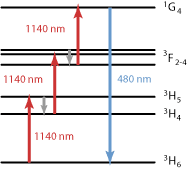 For example, the fractional light throughput of some partially transparent object may be measured by comparing the transmitted intensities with and without the object (e.g., some liquid solution in a cuvette) inserted. Using the Lambert–Beer law, one can then e.g. measure the concentration of an absorbing substance in liquid samples. Figure 1: A multi-purpose instrument which also serves as a photometer (luxmeter), displaying the illuminance on a desk. the total luminous flux, which is e.g. sent out by a light source, specified in units of lumens (lm). These quantities are related to irradiance and radiant flux, but the contributions of different wavelength components are weighted with a luminosity function which takes into account the wavelength-dependent sensitivity of the human eye. As in radiometry, photometric measurements on broadband light require an appropriate wavelength dependence of the responsivity of a photodetector. In this case, however, the responsivity should not be constant, but rather reflect the luminosity function of the human eye. That can again be achieved by equipping a photodetector with a suitable optical filter. 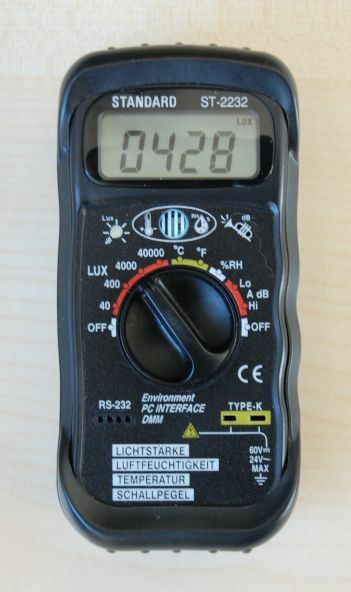 A common application of photometers is the measurement of the illuminance at work places. For example, it is recommended to have roughly 500 lx on office desks, e.g. when working with documents. For comparison, full sunlight corresponds to roughly 100,000 lx. Another application is the measurement of the total luminous flux emitted by a light source. 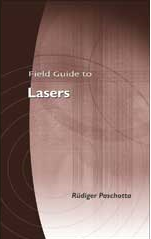 For a laser beam, this is simple, because the total emitted light flux can easily be sent to a photodetector, e.g. in the form of a powermeter. For light sources radiating in all directions, but not uniformly, one may require an integrating sphere photometer. For light sources with uniform emission in all directions, the total luminous flux can simply be calculated as the product of the illuminance, measured in some distance d from the source, and the area 4 π d2. Spectrophotometry denotes methods for spectrally resolved measurements. Spectrophotometers are instruments for measuring wavelength-dependent reflection or transmission properties of objects or substances. Also, there are spectrometers for measuring optical spectra of light sources.